Posted June 12, 2014 . Highlights HTML, Joomla! Plugins and Components, LESS, PHP. I was tasked to design the layout of the Southern Nevada POD website. I worked with the public relations department and with the Office of Health Preparedness for vision, goals and data. The public relations department created all the graphics in Photoshop and I had to convert it all into HTML and CSS that are compatible with Joomla 3. My other tasks were to interface with an API, create custom Joomla components and plugins to handle dynamic forms. I designed the layout of the front-end and internal interface to make sure data works from mobile screens to wider screens. Lastly, I trained a public relations person to be able to work with the Joomla admin side. 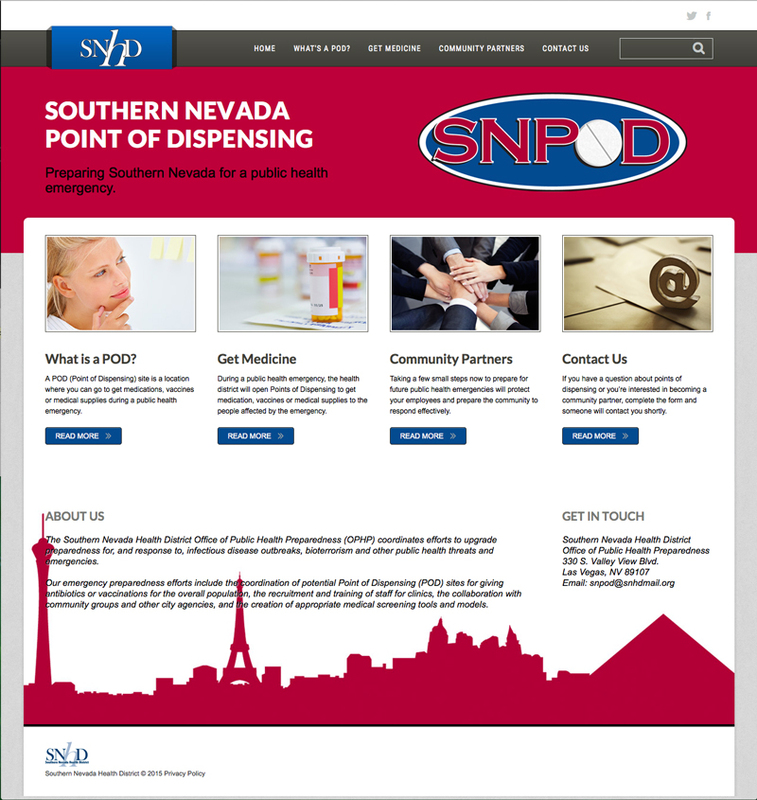 The Southern Nevada POD website was built to assist consumers and POD venues alike. 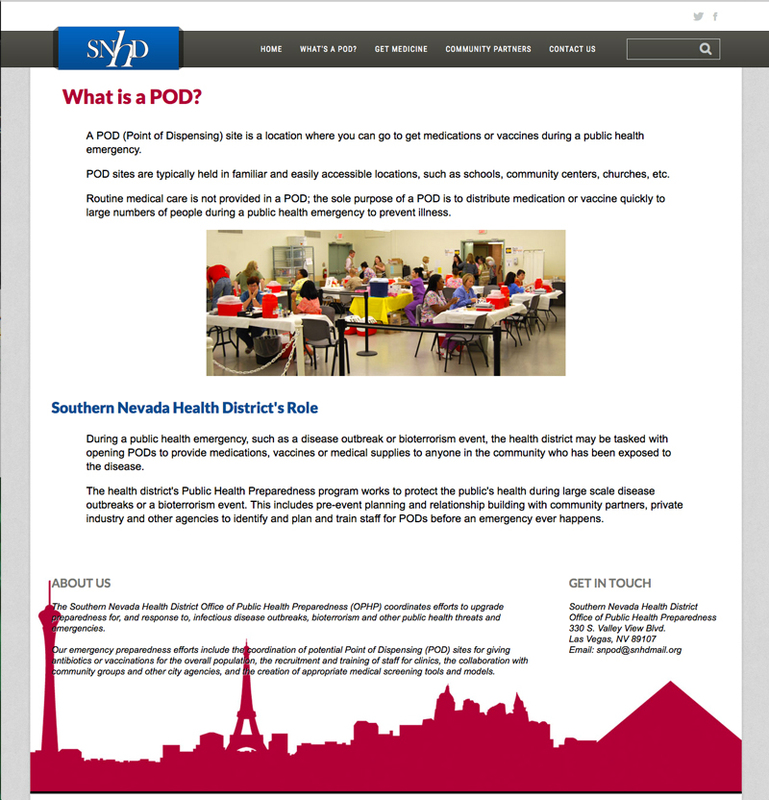 POD is short for “place of dispensing.” The event-program itself was created by the Department of Public Preparedness (at the Southern Nevada Health District). For example companies with numerous amounts of employees can be a POD. But they would need information to run the event using their account in this website. 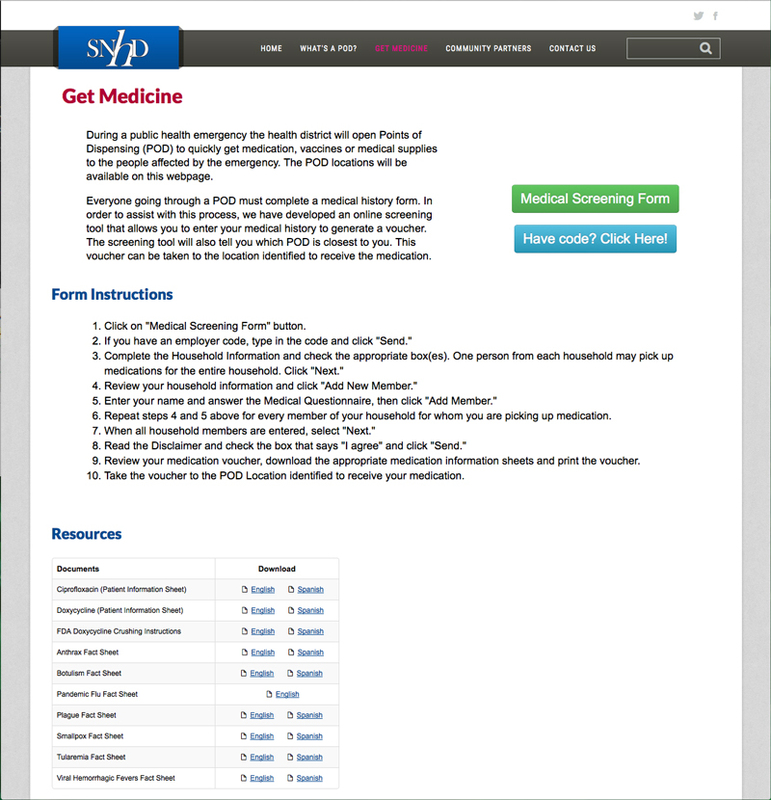 Consumers can go to this website to get information like the time and place of a POD, for example. I learned the Joomla! platform. Joomla! is very complex but it definitely serves a purpose especially for this. Multiple users are necessary from the admin side and for the consumer side. Customization in Joomla! is very non-opinionated in a way. I was able to intensely focus on LESS at one point. I dealt with making the theme based on public relations’ requirements. There was already a Joomla! theme bought. But I was tasked to redesign it to fit program’s purpose. Another task that took my time was dealing with forms, interfacing Joomla! with API’s and learned some custom plugins and components. §This app was created for the Office of Health Preparedness Department at the Southern Nevada Health District, under the supervision of Jason Frame. Prut Udomwattawee was the main developer. ±Due to considerable reasons, I cannot say much about this project.